Decimal notation represents real numbers using the base 10 numeral system. 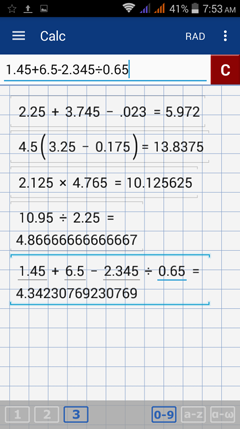 A decimal number has a fractional part separated from the integer by a decimal point. Auto Format formats the results in the same format you used to enter an expression. 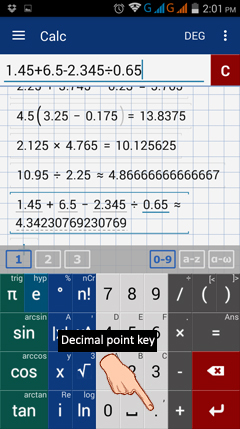 Switch the format back to Auto before performing operations that do not use a special notation by going to Main Menu > Settings > Calc > Number format > Auto. 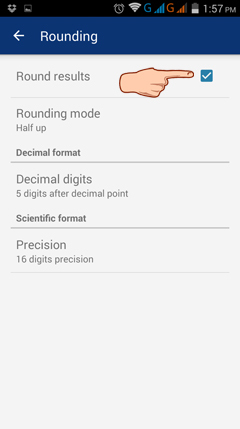 Use the decimal point key when performing operations on decimals.